Recently I read an article saying that Brazilians usually spend 20% of their salary on travels for leisure. I know, at first this number seems very high, but, I invite you to do the math of your own. I did it, and when I checked the results…holy f… I spent 20.76% of my salary the last year on traveling. Accordingly to TripBarometer, 96% of Brazilians declared that they are planning to travel this year and 70% said that it’s impossible to live without traveling. It’s in our blood. We are curious by nature and in recent years more and more people are traveling abroad and discovering new destinations. In the 90’s, the main holiday program of Brazilian families was, year after year, people would travel to the same beach, at the same time of year, to see the same places…. Now the scenario has changed. In fact, 1 in each 8 Brazilians declared that are going to travel abroad in 2017. We don’t want to see the same old, same old, we want something new every year, and once we discover which new place we want to go, it’s not only possible, but easy too. The 2017 summit of the World Travel & Tourism Council (WTTC), pointed out that not only more people are traveling abroad, but also, they are spending a lot more money when they arrive at their destination. Only a year after the recession, it seems the Economy and Travel industry is not only breathing again, but thriving! Accordingly to the Central Bank of Brazil, Brazilians spent $1.53 billion USD abroad in March alone this year—a growth of 18.5% from the previous year. From a historic museum in the country of Scotland to a Paradisiac beach in Thailand, you can find Brazilians traveling everywhere. 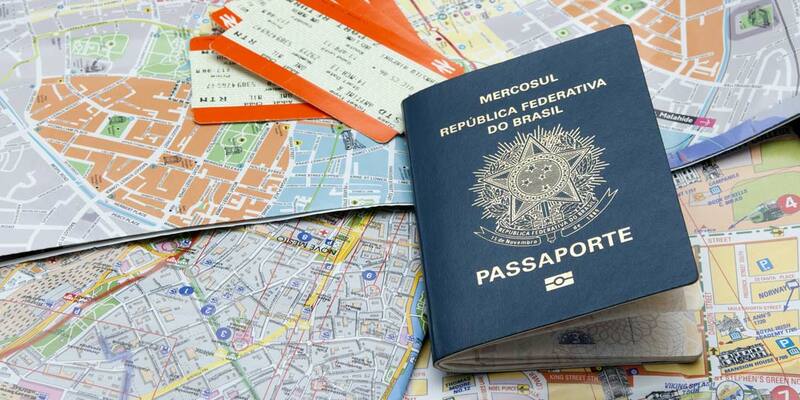 Brazilians have a mix of desires and preferences when we’re choosing a destination. There’s more than one favorite destination, but here are a few of the top ones from the last year. Receive more analysis directly to your inbox. Get the most relevant info on Latin American Travel Market. There’s a growing interest in Europe, especially for history fanatics and foodies. Asia and Africa are receiving more Brazilians every year, for the unique and exotic experiences their countries offer. Australia, Ireland, and Canada are famous destinations for students. There’s also a peaking interesting in South America for it’s uniqueness and competitive prices. There’s a market for all, it seems that suddenly we discovered the world can be explored. Some of the reasons which were holding Brazilians back from traveling abroad in the past were the difficulty to find and pay for the travels and the lack of information. But now, most of these problems are solved, we can easily google a destination and in a few seconds, discover the astonishing places that we never imagined to go. Paying for our travels is now easier too. We can plan a trip and pay using our local payment methods online and not worry about spending a river of money on taxes. These two things, alongside with the growth of the middle class, are allowing more people to accomplish their dreams every day. It seems travel companies realized Brazil is a very profitable market, they just needed to adapt to the needs of the population. If you’re apart of the travel industry and want to know how to sell to Brazil, we here at EBANX would be happy to discuss the market with you in more detail.